Online entry to the competition is now closed. 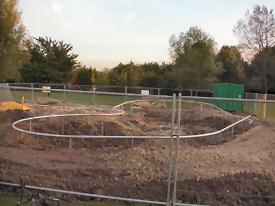 Below are a selection of photos from the new Skate & Ride Area as it develops. Each photo can be clicked in turn to view a larger version. at School Lane Recreation Ground. Please see the following areas for more information. 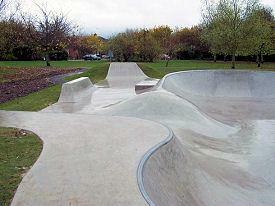 Why a Skate & Ride Area? A description of the proposal. Answers to various questions posed by parishioners. The site of the proposed Skatepark. 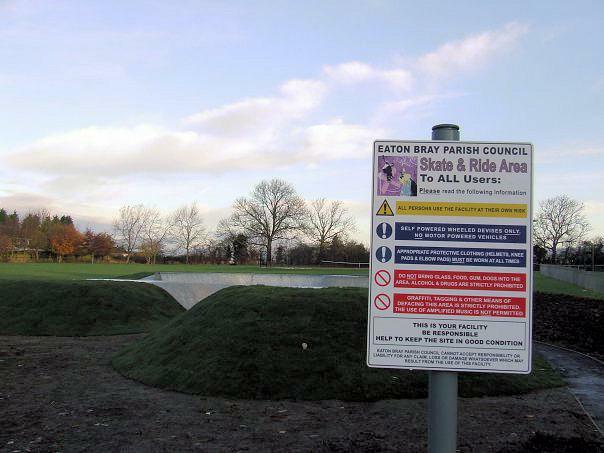 Eaton Bray Parish Council is currently looking into improving the facilities within School Lane Recreation Ground. 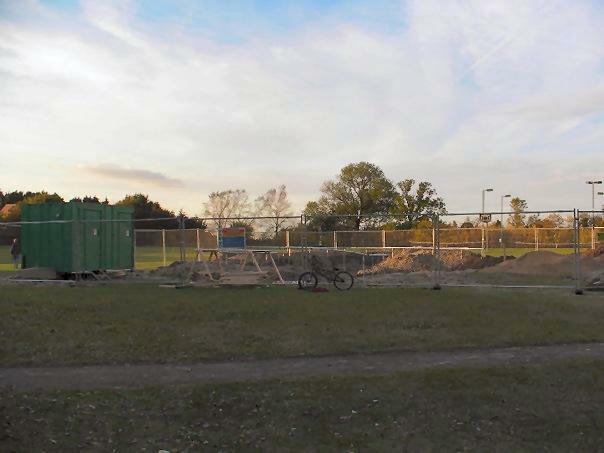 One of the areas of improvement the Parish Council is looking at is providing more amenities for children; one of these being a skate & ride area and additional seating at the recreation ground. In recent weeks it has come to the attention of the Parish Council that a circular has been delivered to properties within the area, by persons unknown, listing a number reasons why a 'skatepark' should not be built. The Parish Council feel this information gives the wrong impression of the project, the information given is not accurate and would lead to a negative reaction to those who read the circular. The Parish Council were also concerned that the 'sender/s' of this circular were incorrect in asking only those not happy with the project to write to the Parish Council influencing those who believed this project to be a benefit for the children of this parish not to write. Both parties, whether for or against this project have the right to write to the council with their opinion. The Parish Council believe it is important for all parishioners to be aware of the skate & ride project and would like to explain to you why they have looked into this. 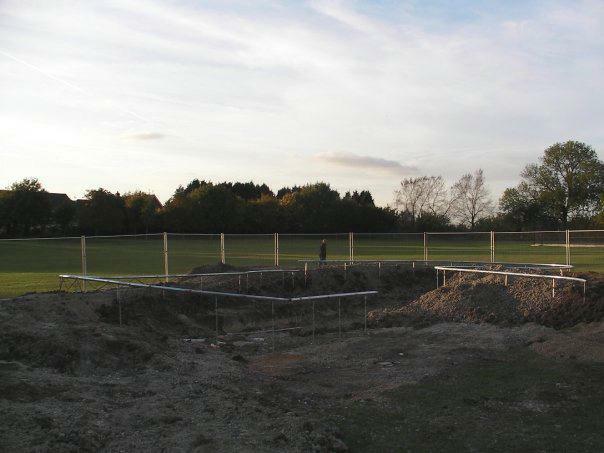 The Parish Council was contacted by a number of children within the village, who asked if there could be the possibility of installing a skateboarding/BMX/roller-skating facility at the Recreation Ground in School Lane. The children enjoy skateboarding and riding their bikes and have to build makeshift ramps for skateboarding and riding their bikes. Currently there is nowhere else to go within the village to enjoy themselves and so resort to using the roads and pavements which has become increasingly worrying due to the volume of traffic that uses these roads. The Parish Council agreed to look into this proposal and started looking into the design of such a facility and its location. A Working Group was set up, containing members of the Parish Council and residents of the village; including two youths who initially contacted the Parish Council for a possible facility within the village. 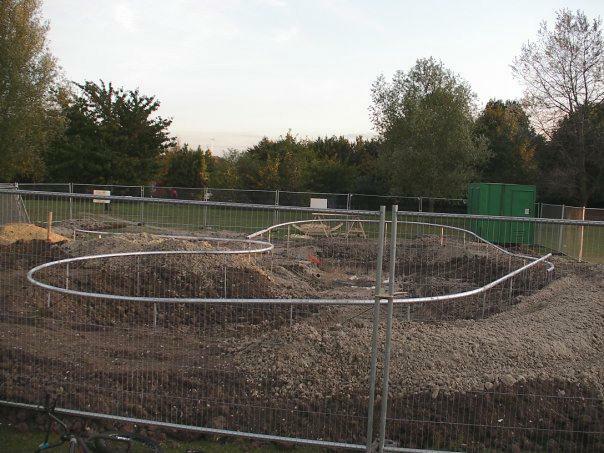 The Working Group then contacted three suppliers to look at designs/costs of such a build and put together a proposed plan of a skate & ride area for the recreation ground. The proposed facility would have to be in size/proportion to the size of the village, giving users a fun area to go without spoiling the surrounding area. A Public Consultation meeting was carried out on the 12th February 2009; notices for the Public Consultation were displayed on the Parish Council's Website, notice boards and the local school/shops three weeks prior to the meeting. However, the Parish Council also decided to put flyers in the FOCUS Magazine (albeit delivered near to the consultation) to ensure that every resident within the parish was aware of the Parish Council's proposals. At the meeting, as well as members of the Parish Council, Skate & Ride Working Group, local police, there were a large number of residents and the Parish Council would like to thank all those that took the time to come to the meeting and listen to the proposals. All the comments raised were taken on board and presented to the full Parish Council. The Parish Council gives below its findings/response to concerns which were raised with regards to the skate & ride project. 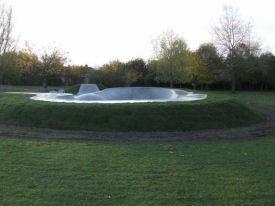 A Skatepark in other areas attract a large number of undesirables, bringing bottles of drink/drugs. 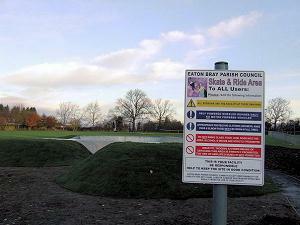 Park heavily policed there but will not happen in Eaton Bray. Stress with having to deal with undesirables it will attract not conducive to a safe environment. Why should local residents have to police the area? 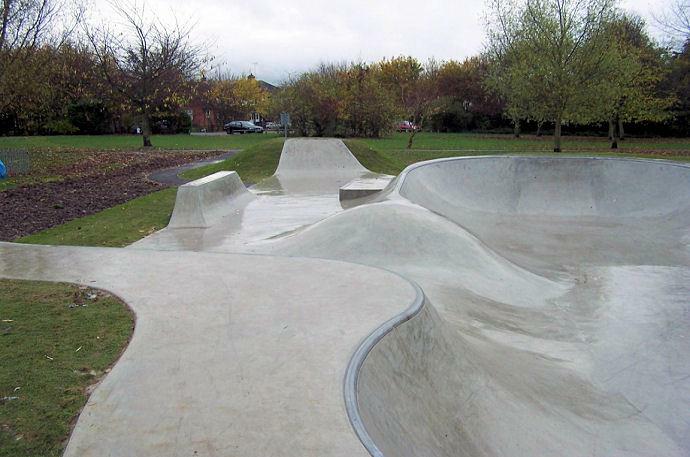 The Parish Council has been in contact with other Parish/Town Councils within the local area to get their views on the skatepark in their area. They have found their skate areas have not increased the anti-social behavior in their area, in some cases the councils have noticed a decrease in problems. 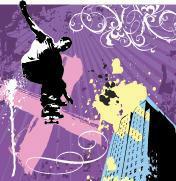 The Police for these skate areas have been very supportive. The Parish Council does not ask local residents to police the area but, as currently, all residents need/should report any anti-social behaviour they see to the local police. The park is not big enough for a project of this size. The hours it is open and the noise generated will affect those who live near the park. The proposed material/design for the skate & ride area is sunk into the ground and was chosen for its sound deadening properties. Being sunk into the ground means that there will be little visual impact. The park is used by elderly residents, dog walkers and young children walking to school who do not want to have intimidating youths hanging around. The park is for all members of the parish, to be used and enjoyed by all. The users of a skate & ride area will be children who wish to have a facility to enjoy themselves, not out to intimidate others, who will themselves be at school during the day. As the Parish Council mentioned at the Public Consultation, there will always be those that cause problems, but why should we pander to them and not allow the majority of law abiding children who live in the village to have a facility that they would also like to use and enjoy. Installing seating areas, where in the past have been vandalized then removed. Perhaps spend money on more flower beds/CCTV cameras. The seating proposed are seating designed for children play areas not the standard park bench. The Parish Council is looking into improvements for the whole of the recreation ground and the skate & ride facility is just one area of these improvements. It will be a target for graffiti and become an eyesore. The Parish Council have studied a number of local villages where skateparks have been built and found that vandalism does not increase but in some cases went down, and the community felt it was a worthwhile project. Indeed the Police are so convinced this is the right thing to do they are trying to raise some funds to support the project. There are large recreational areas in other parts of village, i.e. The Rye, why not there? The Parish Council looked at other areas however The Rye is used for football matches and history shows that the site is too far from the centre of the village. 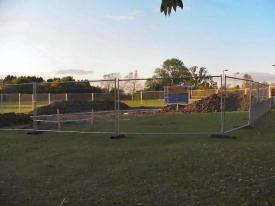 The land behind the recreation ground (Holmans Field) cannot be used as a recreational area apart from Youth Football. School Lane Recreation Ground is the only area of land suitable for such a facility. 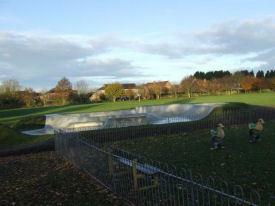 The Recreation Ground is also central to the village and the safest area for the users to get to. What if the project goes ahead then fails; what would the costs be to have it removed? The Parish Council are looking at this proposed skate & ride area due to an approach by the public for such a facility, believing that if built would be used by a number of people within the village. Now and in the future. Why should we, already having lost our post office, have to have this – cannot it be built in Edlesborough? The loss of the post office was very sad for the village but has no relation to the proposed build. It would be up to the residents of Edlesborough to apply to their Parish Council for a skate & ride if they felt there was a need in their parish. 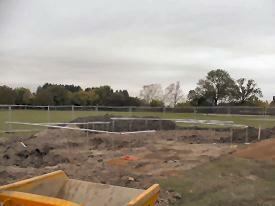 The Parish Council will primarily be funding this project out of public funds. The Parish Council will be supporting the project, however the larger proportion of the funding will be from organizations that offer financial support to such projects. There will only be a small proportion of children wishing to use this area. The Parish Council contacted other Parish/Town Councils within the local area to get their views on the use of their skatepark, all those contacted said they were well used and had helped their area. 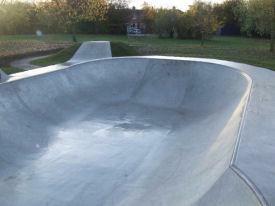 One small Parish Council said that although they were only a small village with a small youth population feels their skate facility is well used, especially in the holidays and weekends. At a recent Parish Council a large number of children attended, boys and girls, supporting the proposed skate & ride project. It will also be an area that will be in use not just for this generation of children living in the village but for future generations that live/move to the parish. There will be increased litter in the area. The Parish Council contacted other local Parish/Town Councils who felt that litter was not a major issue at their skate facility. 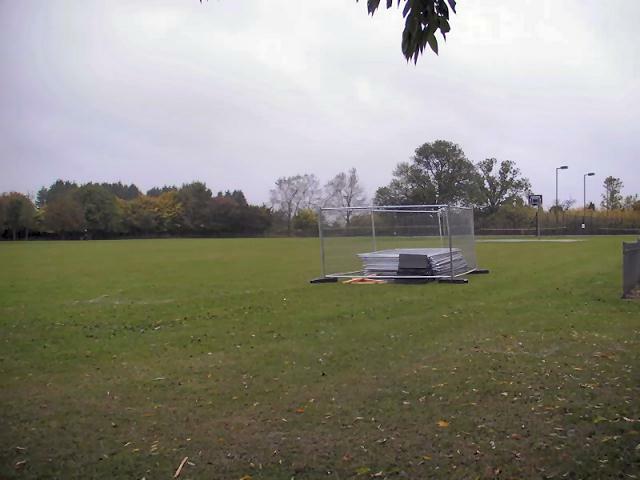 The Parish Council would include this area in their current general cleaning and maintenance of the School Lane Recreation Ground. The Parish Council has been pleasantly surprised by the interest shown by the young of the village, many of whom have taken an active role in the project. The youngsters only ask that they have somewhere central safe to play, not near the roads where they could be in danger, and in the village they live. As one resident wrote, "...they themselves would be very unlikely to mount a skateboard but fully believes that the young of this parish show initiative and energy." An area which the Parish Council are looking into, as a separate issue, is the policing within the parish. The Parish Council wants to look into how they can help, by working with the local police, to deal with problems that are currently being experienced by residents within the parish. The recreation ground would be a primary area to include in any policing review and plans to reduce anti-social behavior. If you have any comments regarding the above or have any other unrelated issues that you would like to bring to the Parish Council's attention then please write to us together with your contact details, as the Parish Council is unable to deal with anonymous correspondence.